We have the privilege of being invited to these ceremonies on a regular basis. Because of our strong relationship and links with the communities, our network identifies up to seven ceremonies a week. 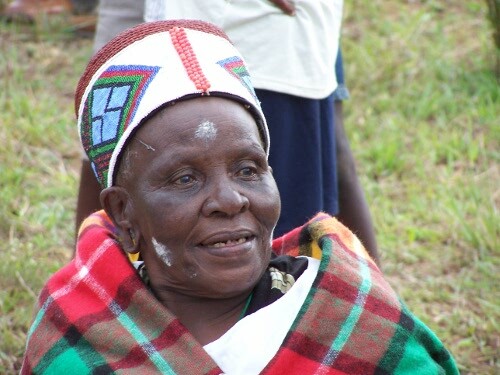 These traditional Zulu weddings and coming of age ceremonies take place in rural Zululand. We drive out into the Zululand hills in search of a ceremony that we have been invited to over old dirt tracks and hills. This makes for a great adventure and as we eventually check out other guests winding their way over the hills in a common direction. You can never be too early or late – this is Zulu time at its best. We meet the families and watch while the preparations and final arrangements are being sorted out. There is strict protocol to be observed by both families. The pre-ceremony rituals and customs are all explained to you by your guide. 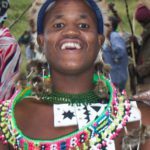 These are truly colourful and vibrant real-life events are set in an idyllic backdrop of the Zulu countryside. 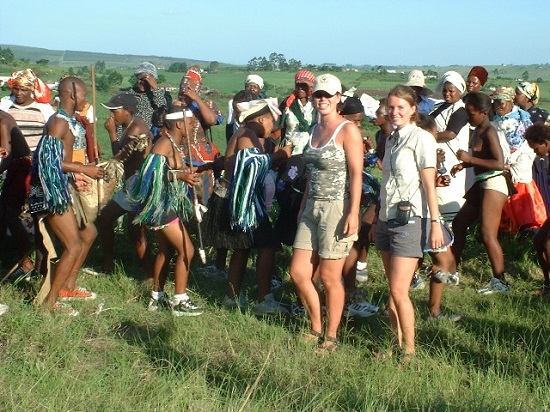 Zulu people are very enthusiastic about sharing their traditions with their neighbours and overseas visitors. Once you have been introduced you are regarded as one of the family and you will be surely transformed into a new world where sharing and generosity of spirit will overwhelm you. This vibrant, colourful, and joyous ceremony is sure to remain etched in your memory forever. 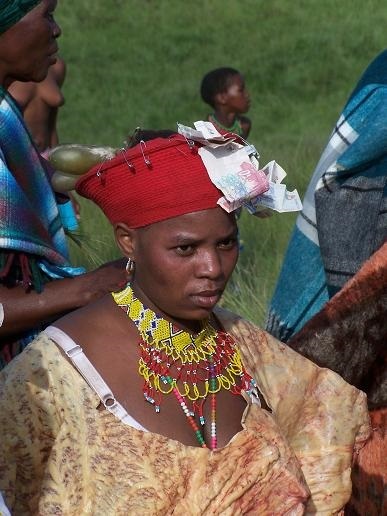 Each ceremony has it peculiarities and your Zulu guides will explain each part of the ceremony to you. This is great chance to meet ordinary South Africans in their environment to share life’s experiences and learn about real Zulu life as it is today. 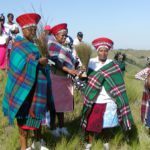 Tours to these ceremonies leave from Sugar Hill Manor Guesthouse, The George Hotel and Zululand Backpackers on Saturdays and Sundays from 12.00 pm – 5.30 pm; if you would like to experience this unique part of the Zulu culture, please contact us at info@eshowe.com or enquire here.